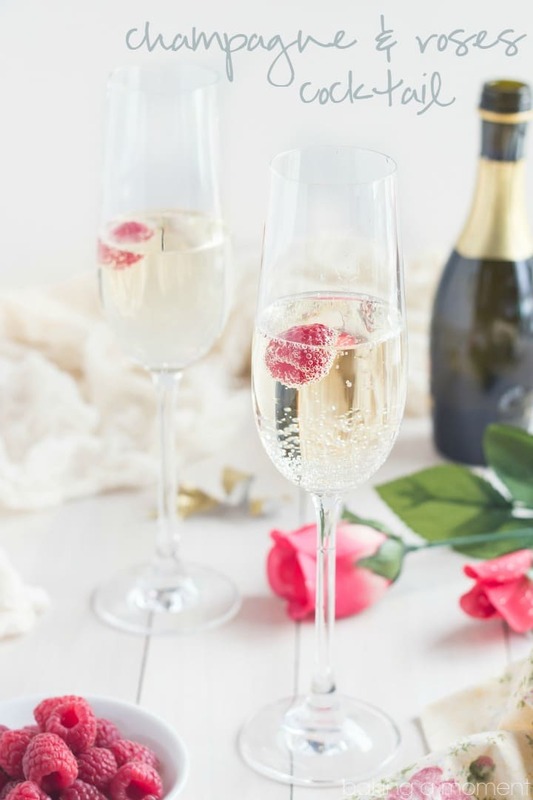 Treat someone special to this lovely champagne and roses cocktail! It’s so simple to make but it feels so fun and fancy. Perfect for Mother’s Day or Valentine’s. 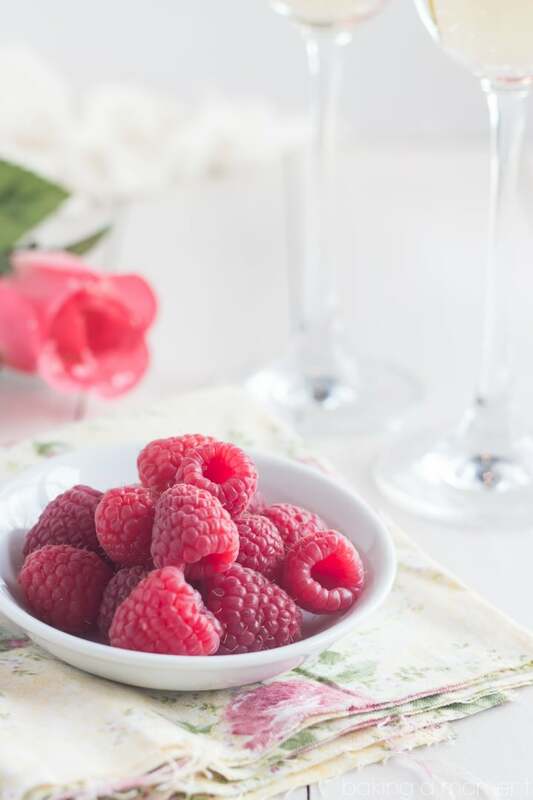 It’s Friday and today I’m sharing a really fun and really simple cocktail recipe! 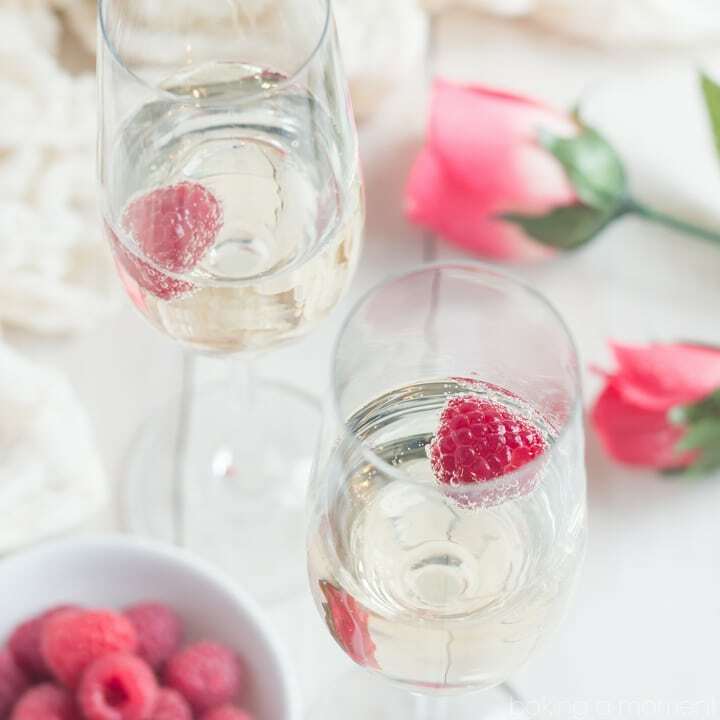 What more could a girl want than champagne and roses, right? Ok, well maybe chocolate, but we’ve covered that here, here, and here (just for starters). Today we’re talking drinks and this one is sure to make her smile. …and also they get along so well with rose. I use just a dash of rosewater, which is easy enough to find at higher-end grocery stores and Indian markets. If you have any trouble at all, you can always mail order it here. So, surprise someone special with this unique drink! I’m thinking it’d be great for Mother’s Day! 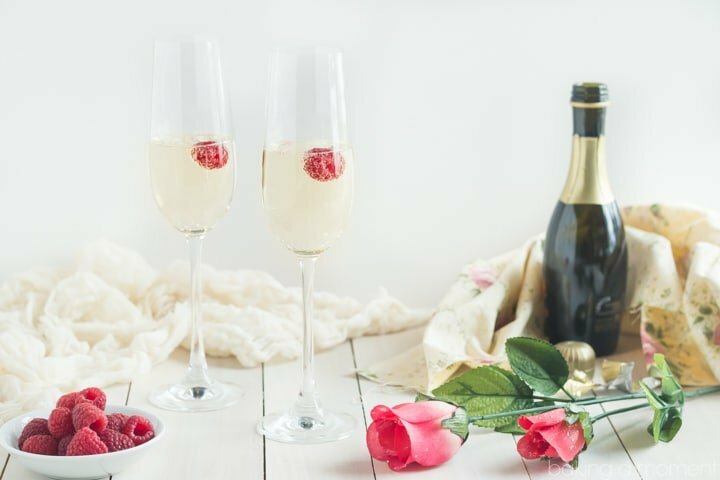 Treat someone special to this lovely Champagne and Roses Cocktail! It's so simple to make but it feels so fun and fancy. Perfect for Mother's Day or Valentine's. Place 3/4 teaspoon rose water in the bottom of a champagne flute. This WOULD be perfect to serve for Mother’s Day! So fun and easy 🙂 I love simple cocktail drinks like this! I agree! Such a cute idea for Mother’s day celebration! Living in a small town and probably not having access to getting rose water – what does it taste like? I’m dying of curiosity! Well, it tastes just like rose! If you can imagine that. It’s very floral and aromatic, and almost perfume-y. I really love it. I live in a small town too, but I was able to find it in my regular supermarket. They had it in the ethnic foods section, with all the Indian foods. You should definitely give it a try, it’s a really fun ingredient! Can I just treat myself to this heavenly drink? I think I want 3 in a row in fact! It definitely will be perfect for Mother’s Day!! Just so beautiful and I am sure the hints of floral rosewater is a great match with the champagne. Thank you so much Zainab! I really loved the flavors together and that raspberry was the perfect finish- such a delightful bite! I think any mother would be delighted with this on Mother’s Day. I love the rose water, such an elegant drink. I think so too Janette! In fact, I’m hoping that my hubby will make it for me 😛 Thanks so much sweetie and happy Friday to you! This is such a gorgeous cocktail Allie! Sometimes the simplest things are the most beautiful! Ok, so you know how I was saying I have a bottle of orange blossom water that I had no idea what to make with until I saw your recipe? Well… I also have rose water that I purchased for baklava, but have not used it for anything else. It just so turns out, that I have a bottle of sparkling wine in the fridge. I know what I’ll be enjoying tonight 😉 Thanks for this! Awesome! I love it! Hope you enjoy Kathleen! Haha I’m so glad to know that you’re already familiar with this flavor combo! It’s one of my favorites too. Thanks so much Marissa! Thank you so much Jess! They’re two of the most feminine flavors I think, so I figured they’d work well together! This is just so simple and beautiful! I love it!! I bet she’d love it, Mira. Thanks so much hon! You are exactly right Aida! It can be a little overpowering so I always try to use a light hand. Thanks so much for the sweet comment, dear! Thank you so much Kelly! You’re such a sweetheart. I hope you have a wonderful Mother’s Day- you deserve it! These are so pretty, and so easy! I love that!